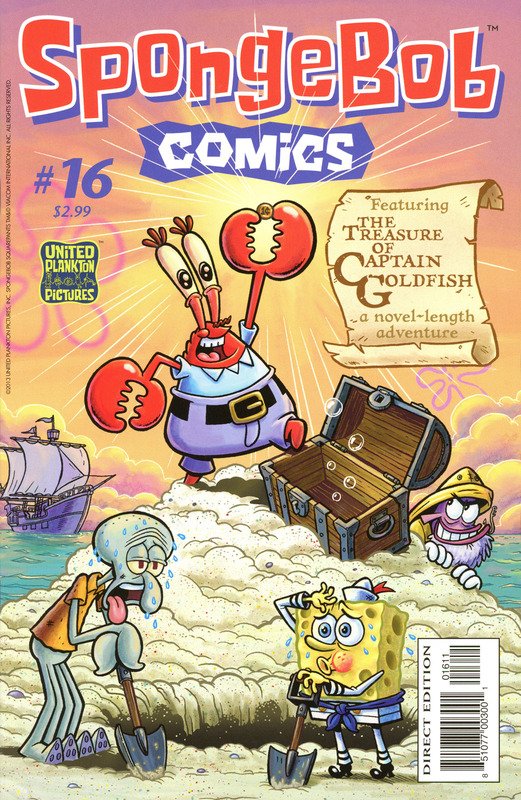 SpongeBob, Squidward, and Mr. Krabs hunt down the lost treasure of Captain Goldfish. Read about real life sea turtles that live in the ocean. SpongeBob blows a big bubble to float around town in. SpongeBob finds a magical world inside of the freezer. SpongeBob and Patrick go on a safari adventure. Random fact: This is the first issue to contain a 20 page novel-length story.